El Calvario opened April 29 and patrons have already identified their favorites. Aguilar, who grew up in the Mexican state of Puebla, said one popular dish is his alambres mixtos, $15, grilled skewers mixed with chicken, steak, shrimp, peppers, cheese and other ingredients. 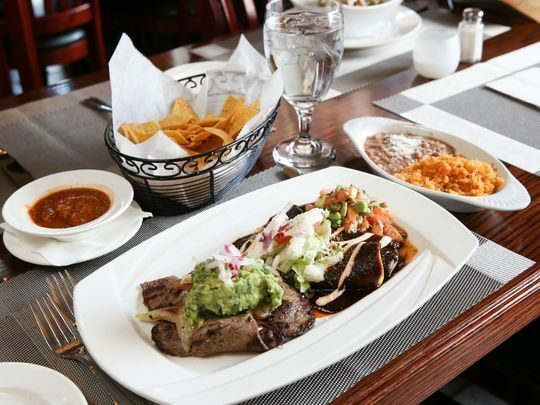 El Calvario has a spacious, bright and cheerful dining room. A full bar on one side of the restaurant seats about 10. Many of the dining tables can accommodate large groups or families. Walls are decorated with streamers and art, with a large, decorated altar for Our Lady of Guadalupe near the bar.